The eighth winner of the Kendeda Graduate Playwriting Competition is set amongst the swirling domes of the church in Red Square. Once upon a time – in 2005 – a twenty-year-old girl named Annie returned to her native Russia to brush up on the language and lose her American accent. Underneath a glamorous Post-Soviet Moscow studded with dangerously high heels, designer bags, and luxe fur coats, she discovers an enchanted motherland teeming with evil stepmothers, wicked witches, and ravenous bears. Annie must learn how to become the heroine of a story more mysterious and treacherous than any childhood fairy tale: her own. This subversive story haunts the audience and carries a powerful message for young women living in a world where not everything ends up happily ever after. Setting: Moscow 2005: the thrice-nine tsardom in the thrice-ten country. Olga is the only character who speaks with an accent; everyone else is communicating in their native language. Transliterations of Russian words into English don’t always correspond with the Library of Congress’s Romanization system. How do you hope this show will affect audiences, and what do you want them to take away from it? The No. 1 thing for me about the play is that, since it is a fairy tale and we are literally beginning with “once upon a time,” I think there is an expectation as an audience member that it is going to be a really great story. So I hope people go away feeling like they have had a satisfying evening of storytelling, firstly. In terms of thematic or emotional reactions, I think the play is asking what role fairy tales have in adult life. I hope that it will be funny, exciting, scary and provocative — a really fun evening in the theatre. 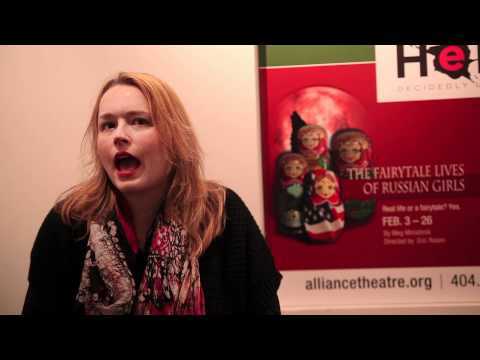 The Fairytale Lives of Russian Girls opened at Yale Repertory Theatre in February 2014 (Artistic Director, James Bundy). 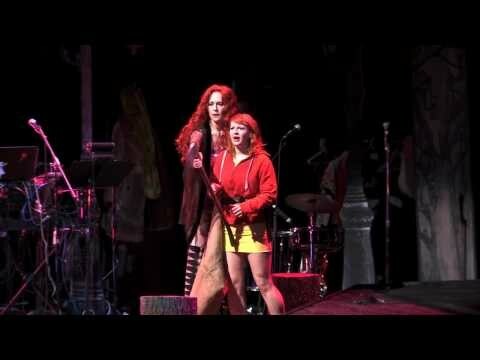 The production was directed by Rachel Chavkin and dramaturged by Amy Boratko.